For five days in September 1913, with rumblings of war stirring all over Europe, North Bucks and South Northants were turned into a "battleground" for British manoeuvres for more than 50,000 soldiers and airmen and 25,000 horses in what turned out to be a vital dress rehearsal for the so-called Great War. The troops that exercised in South Northants in 1913 helped to save the day for the Allies in the opening months of the Great War less than a year later. What happened in those few weeks was to have a profound influence on European history for much of the 20th. century. 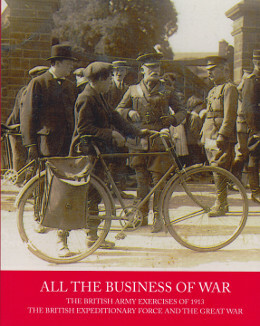 The second edition of the book contains a more extensive account of the critical opening phase of The Great War and the relevance of the 1913 manoeuvres. The book includes a facsimile of the booklet, published by the Northampton Mercury in 1913, to commemorate the visit of King George V and Queen Mary to Northampton to see the manoeuvres. 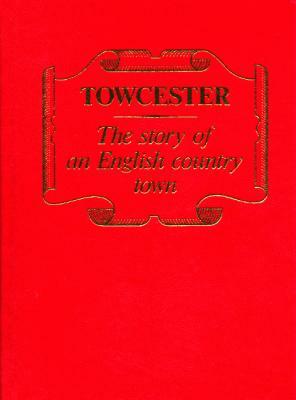 "Towcester - The Story of an English country town "Edited by John Sunderland and Margaret Webb. "William Sponne (c.1380-1448) - Archdeacon of Norfolk and Rector of Towcester"
With an introduction by Rev. Tony Bryer, Rector of St. Lawrence, Towcester. 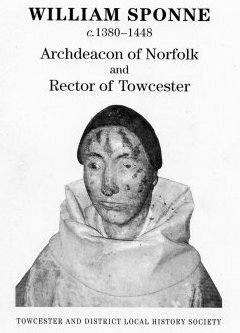 This biography of William Sponne looks at the life of a medieval archdeacon who was influential on Towcester and its parish church. It includes details of his parishes and the families he was associated with. 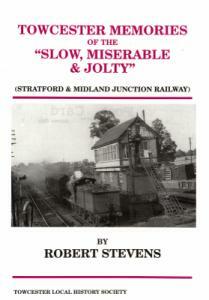 "Old Towcester in Camera - No 2"
"Old Towcester in Camera - No 3"
"Towcester Memories of the "Slow, Miserable and Jolty" (Stratford & Midland Junction Railway)"
A collection of childhood memories of Towcester Railway Station, covering its history from 1938 until the 1950s. With photographs, maps and line drawings. 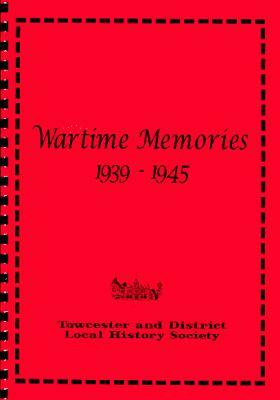 This compilation records the authentic memories of people who lived in Towcester and the area in the years of the Second World War. Walking guide to the buildings of interest in Towcester. Single sheet leaflet, A3 size. 25p. A replica of the Roll of Honour in St. Lawrence's Church, Towcester. Single sheet, A4 in a protective cover. 40p.